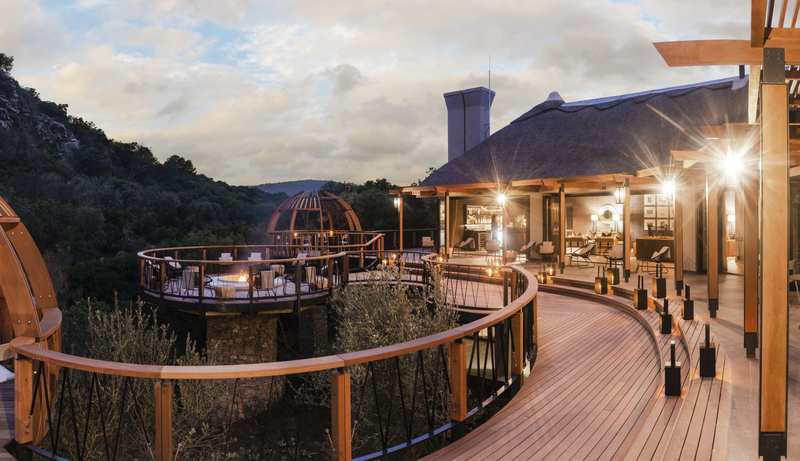 The more African themed lodge of the project, these stone and thatch buildings are positioned in a small valley surrounded by rock faces. 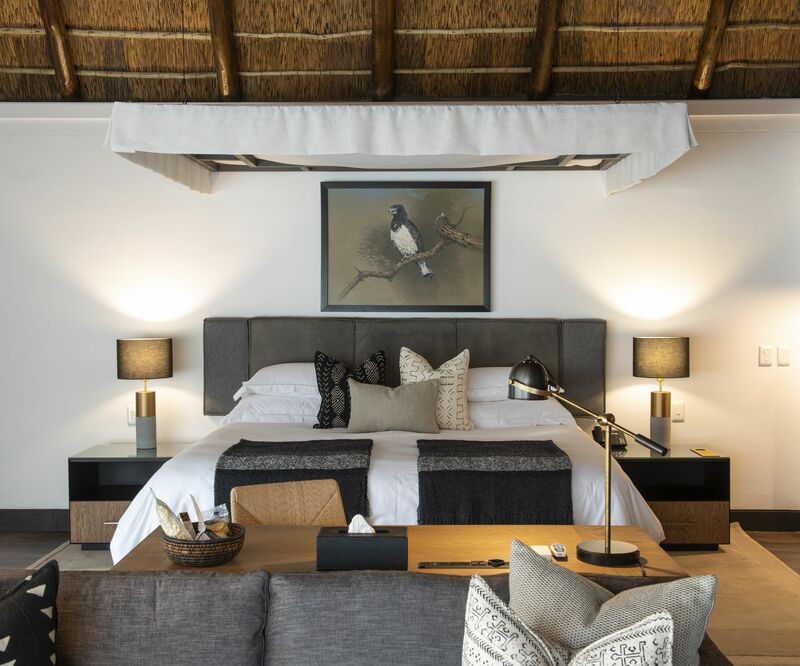 Being a more intimate setting, this lodge has only nine suites and open plan public areas, which are subtly divided by double-sided fireplaces and sliding timber screens. 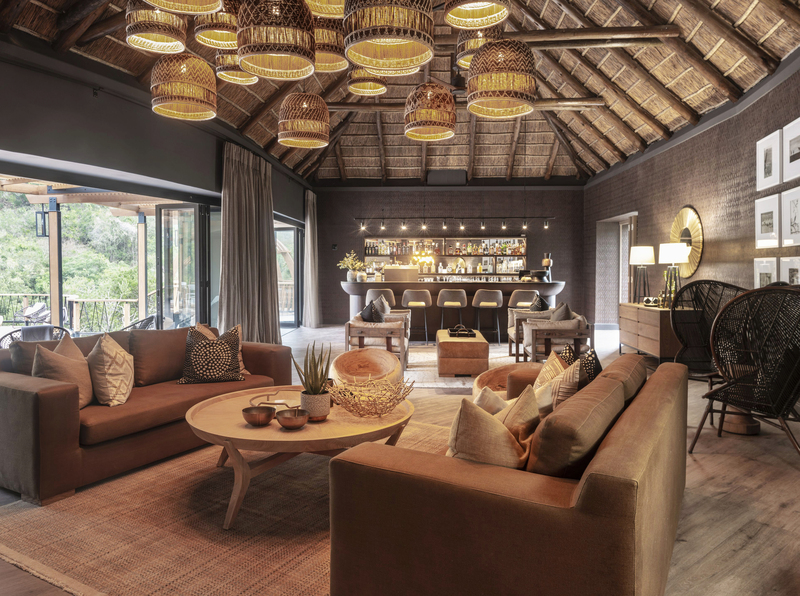 The interiors of the lodge are dark and warm, pulling the external landscape into the spaces. 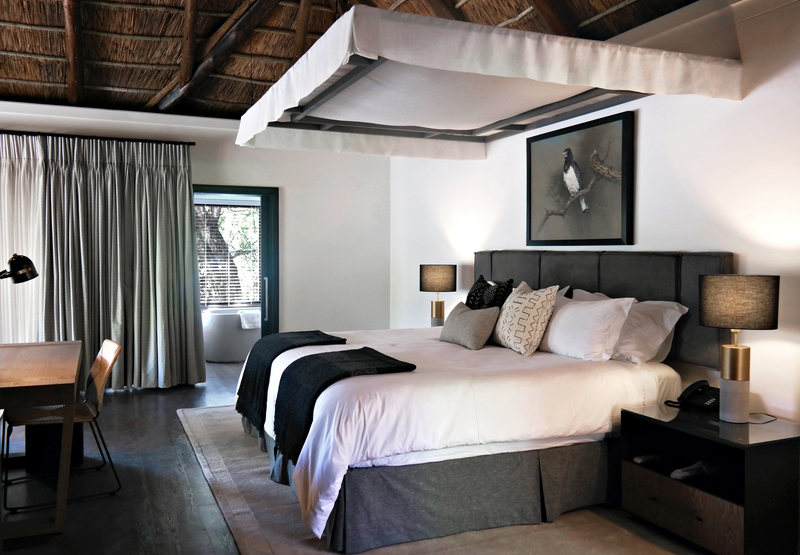 The use of natural finishes and textures puts more emphasis on the bush lodge feel. 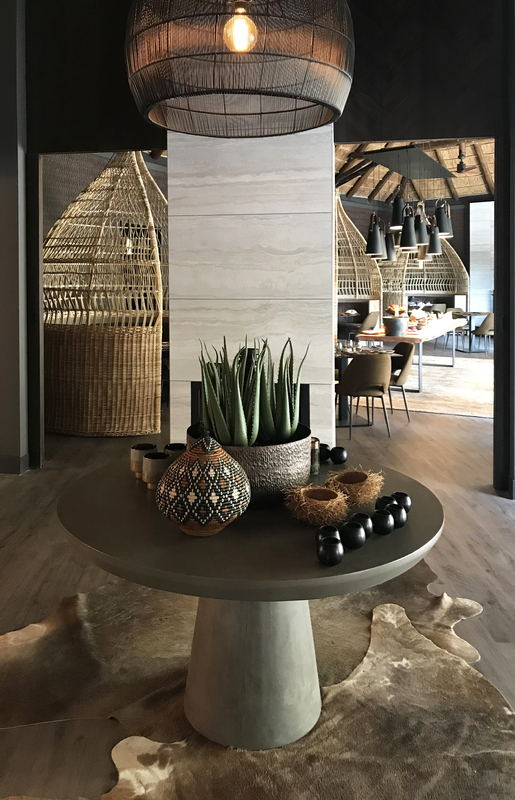 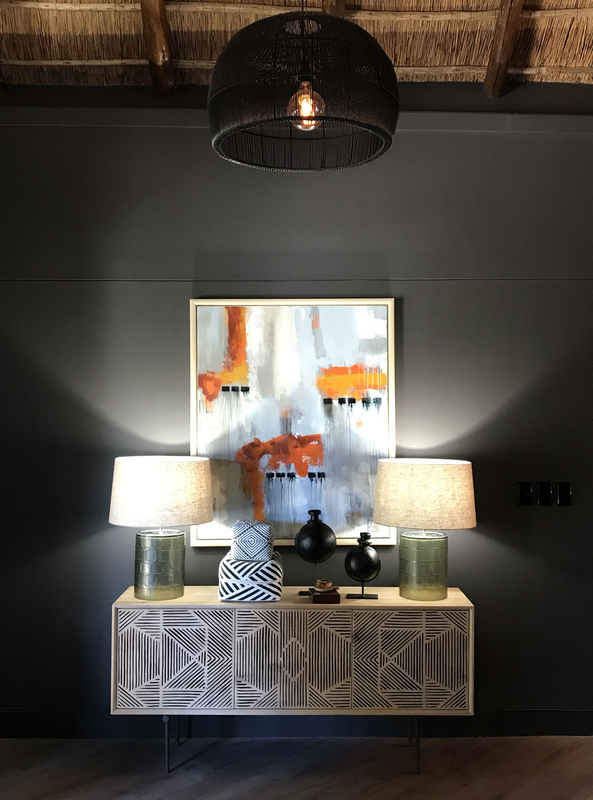 Furnishings are modern and slick with accents of feature African themed seating, art and decorative lighting. 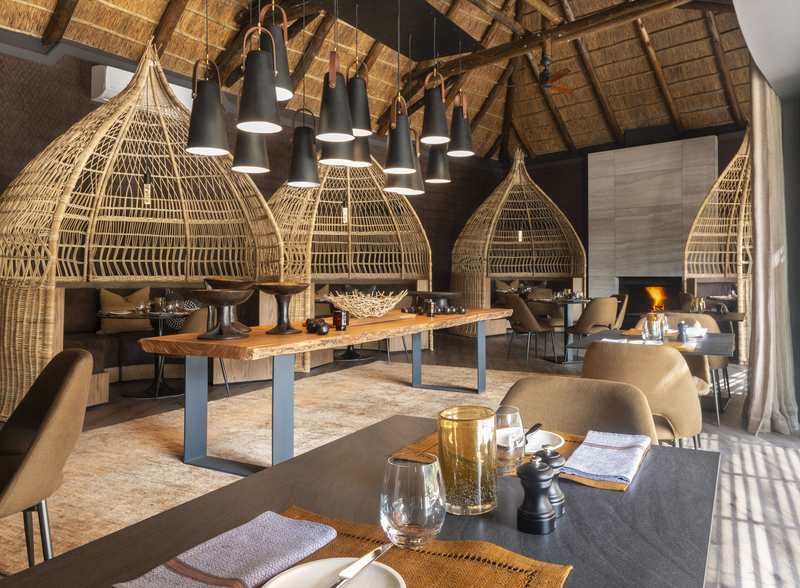 A key feature of the lodge will be the large scale woven “nests” in the dining room, allowing guests to enjoy a unique pod style dining experience.